Built on the solid, tested XiIIIPlus platform, the R110Xi HF offers encoding at 13.56 MHz for powerful but short-range readability. 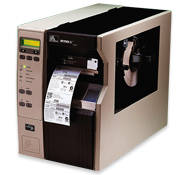 Offering an unprecedented level of on-demand printing flexibility in tag placement, the R110Xi HF also has unique features such as: XML for seamless integration into enterprise systems; automatic calibration; flexible inlay positioning; multiple power levels; statistics tracking; easier RFID programming; and more detailed information via the front panel display. The R110Xi HF supports currently available protocols, including Ultralight and ISO15693. The R110Xi HF printer/encoder is firmware upgradeable to support new protocols, so users can seamlessly upgrade to future RFID protocols as needed.